Do you ever wish you knew more about holidays so you could teach them in more detail? I do! At least a few times a year we come across a holiday that I just don’t know much about. I know the bare basics, but that is it. I never really even noticed that I don’t know a ton about Veterans Day until we began homeschooling. 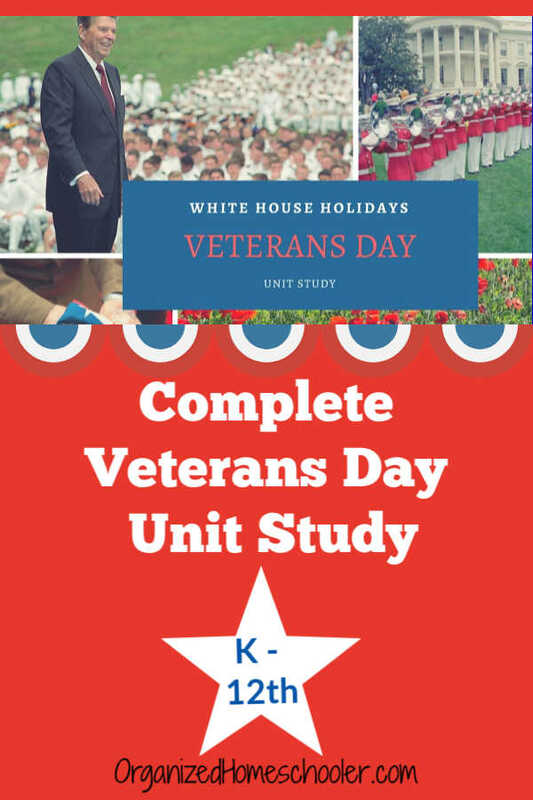 I recently came across a set of Veterans Day lesson plans that really explains the history of this holiday in great detail. 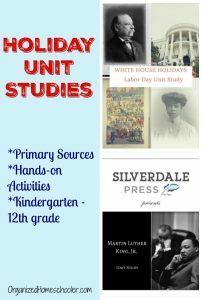 Silverdale Press has created a Veterans Day unit study full of complete Veterans Day lesson plans for all ages. One portion of the unit study is geared towards K-6th learners and another portion is intended for the middle school and high school crowd. 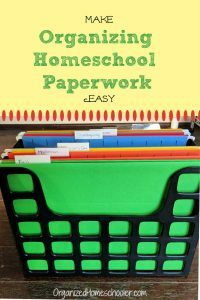 I have a 5th grader and an 8th grader this year, so I will be using all of the lessons. The theme for each day is either the same or very similar, so combining assignments and discussions works pretty well. Silverdale unit studies are my favorite because they provide so much factual detail. I don’t have to do any additional research or supplementing. The teacher guide lays out exactly what to read, what to watch (with links), discussion points, and craft suggestions. You can do as many or as few of the activities for each lesson as fits your family. Silverdale also takes great care to include primary sources whenever possible. The Veterans Day lesson plans include historical replicas of official Food Administration posters. 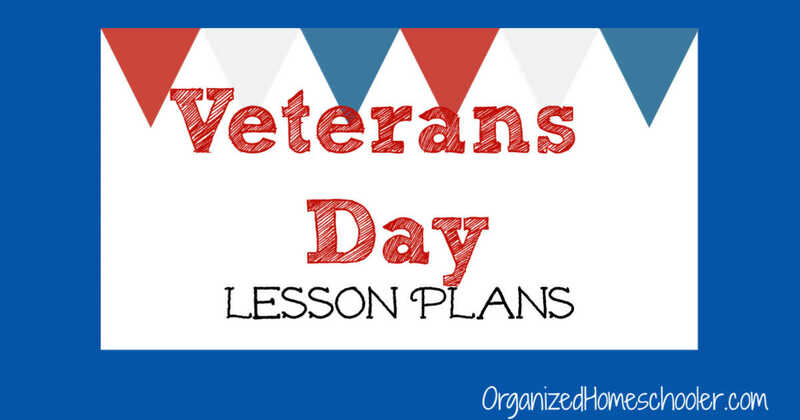 These Veterans Day lesson plans are divided into 3 lessons. Each lesson takes 60-120 minutes to teach, so I will do one set (younger and older) each week. This first Veterans Day lesson plan lays the foundation for the unit. What is Veterans Day? Why do we celebrate it? What was the Great War and Armistice Day? There is a craft option for younger students and a crossword puzzle for older students. In these Veterans Day lesson plans, students will learn about how and why the US Government encouraged citizens to eat less food. They can see actual Food Administration posters. Older students will read a transcript of President Wilson’s speech, given on January 8, 1918. In this final Veterans Day lesson plan, students will learn how Armistice Day evolved into Veterans Day. They will also learn to observe Veterans Day the way it was initially intended – not as just a day off of work or school.